The NRA Basics of Pistol Shooting course is intended for all individuals, regardless of previous shooting experience or NRA-affiliation. 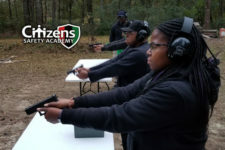 This is the traditional, instructor-led course where students will receive direct instruction from an NRA-certified instructor from beginning to end (no online component). This course is also required to attend the NRA Pistol Shooting Instructor Course.